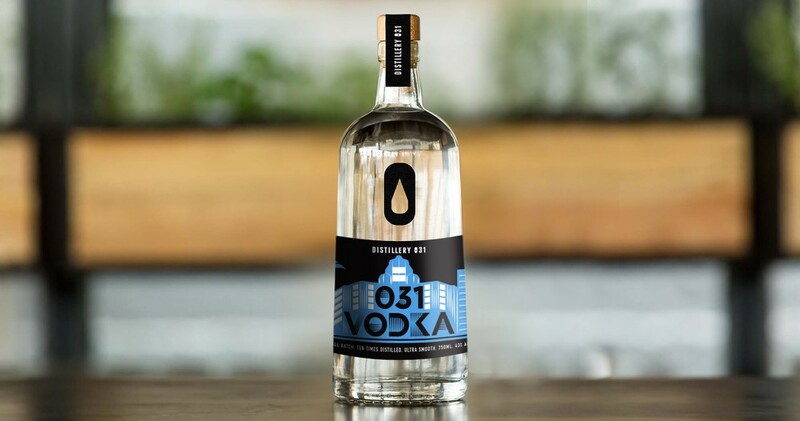 031 Vodka (43% ABV) is made from molasses produced from sugar cane grown in KZN. Durban’s sub-tropical climate is ideally suited to growing sugar cane and was therefore the natural choice as a base for our spirits. 031 Vodka is ten times distilled, first using our copper stripping still and then in our 8 plate column still. We produce our vodka in small batches so that we can deliver the purest spirit without losing the subtle flavours that make 031 Vodka unique. By definition, a vodka is a pure, neutral spirit. At Distillery 031, we do not believe that this means that vodka should be completely devoid of flavour. We do not chill filter our 031 Vodka because we wish to retain the subtle flavours which make it unique and speak of its provenance. By carefully crafting each batch of 031 Vodka, we are able to achieve a vodka that is at home sipped neat as it is in a cocktail. Initial hints of citrus give way to flavours of caramel, butterscotch and cupcakes. Its smooth finish has a satisfyingly warm, spicy note. The Art Deco architectural heritage of Durban inspired the 031 Vodka label. The origin of vodka is widely debated, but the word vodka was first recorded in Poland, in 1405. At the time ‘vodka’ referred to medicines and cosmetics, while the spirit was known as gorzalka (from Old Polish gorzec meaning to ‘burn’). Traditionally vodka was made from the distillation of cereal grains or potatoes as these were the most readily available raw materials in the regions where vodka was popular. Today top quality vodkas are distilled from a wide range of base materials including grapes, grains, potatoes and sugar cane.